Most of the WordPress users prefer Cache WordPress Plugins to refined the loading time of their websites as they automate various time-consuming processes. These plugins are very useful and easy to understand & implement. They simply convert website content into static files which are instantly delivered to the users when requested. This enhanced the site performance, increase user interactions and benefits you in many other ways. Here in this article, we have defined some of the Best Cache WordPress Plugins which offer top class services and helps users boost the performance of any WordPress website. WP Rocket has been recognized as one of the most beneficial caching plugins for WordPress by experts. This plugin works well with all types of websites whether large or small, it helps to accelerate loading time of your site and can easily be customized by non-technical users. Wp Rocket provides you the ability to automatically start caching of web pages and requires no changes in the code. Comet Cache is a premium wp caching plugin which solves different problems related to site speed, improves SEO, reduces server expenses. You can easily speed-up any WordPress site with using this plugin. The dashboard provided is easily understandable and it frequently takes snapshot of pages, posts, category, Link, etc in real-time. Permits you to import and export functionality for Comet Cache. Single-Site Plan:- $39 is the one-time cost of this plan which gives you single site license which is perfect for site owners with a single domain. 3 Sites Plan:- This plan comes with a price tag of $99 and permits you to implement the plugin on up to 3 domain. Pro Version:- If you go with the pro version of 3 Sites plan an additional amount of $99 is charged for advanced features. Pro Version:- For access to all pro features 7 facilities you have to pay $139 extra. 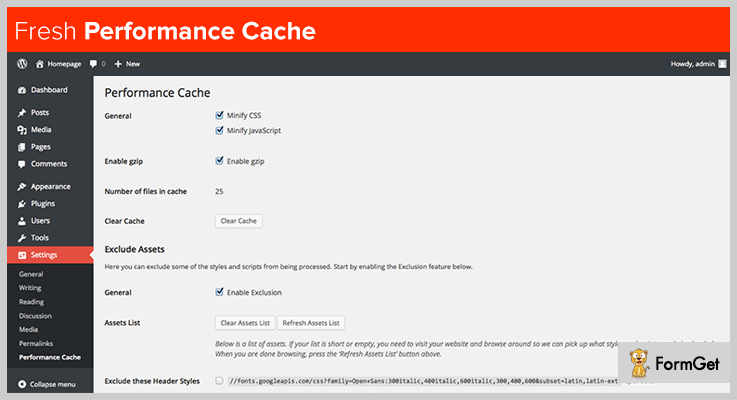 Powered Cache is an advanced caching plugin for WordPress which helps to enhance the performance of your WordPress site. This plugin comes will multiple built-in extensions using which you can improve site speed, reduce load time and more. Free plan allows you to do page caching, object caching and gives you access to free extensions as well. Premium plan will cost you $39 for WP-CLI commands, premium extension access, and other features. Premium plan + professional setup is prices $39 for the plan plus $99 will be charged as the setup fee for this plugin. Fresh Performance Cache will help you boost the performance of WordPress sites by compressing, caching, combining various files. It is one of the top rates caching plugin WordPress which is simple to configure and easy to use as well. This plugin is new in the market still it has got 500+ sales and successful installations. Regular license will cost you $42 and for the extended support for 12 months is charged $14.25. Extended license is priced around $105 and to get extra 12-month support you have to pay $31.88. Borlabs Cache is yet another easy to use and powerful WordPress plugin for caching. With this plugin, your are able to deliver site content in milliseconds, improve rank and generate more user traffic. This plugin saves the website content in the form of static files on server’s and when a page is requested, this static file is loaded which makes the performance fast. Lazy load feature avoids loading images until the user scroll downs the page. Regular license comes with a price tag of $29 and charges extra $9.38 for 12 months additional support. Now talking about the best caching plugin WordPress which are free the first name which comes to my mind is W3 Total Cache. 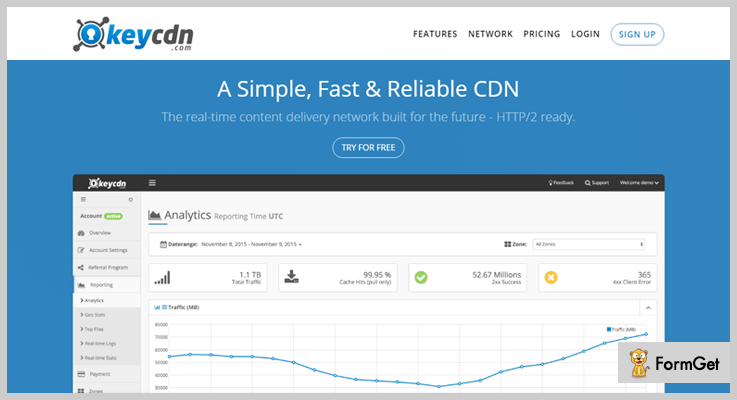 This is an entirely free plugin using which you can improve site performance, reduce load time, do SEO improvements and more. W3 Total Cache is web performance optimization plugin for WordPress which is free of cost. It offers multiple features and facilities which can improve your site in various ways. WP Super Cache is a free cache clearing plugin which generates static HTML files from your dynamic WordPress pages. These files are instantly served at user requests which gradually boosts the site performance. This is a high rated WordPress plugin which has got millions of active installations, but it gives forever free access. With Cache Enabler plugin you can store static HTML files on the server’s disk and improve the performance of your website. This plugin enables you to create 2 cached files, one with the plain HTML and other with gzipped which delivers content much faster. It has got 40,000+ active installations and provides updates at every 2-3 months. Cache Enabler is a WordPress Cache plugin which is free and doesn’t charge a penny for the features & facilities that it provides. We are at the end of this article and we are definite about one fact that you must have found the right cache plugin which can boost the performance of your WordPress website. If you have any suggestions in mind? Please do share them in the comments section below! Which is the best cache plugin for shared hosting?